Omega-6 fats, also known as linoleic acid, are available only in food. The human body can’t make them, so they're considered essential fats. They support brain function, bone health, reproductive health, hair growth and regulation of metabolism. Omega-6 fats also make hormones in the body that, in turn, stimulate the cells and blood clotting. Increasing foods with omega-6 fatty acids may ease insulin resistance for diabetics. Most omega-6 fatty acids are available in vegetable oils. Sunflower oil contains 10 grams of omega-6 fats per 1 tablespoon. Per tablespoon, corn oil has 8.8 grams of omega-6 fats; soybean oil, 7.7 grams; and avocado oil, 4.4 grams. 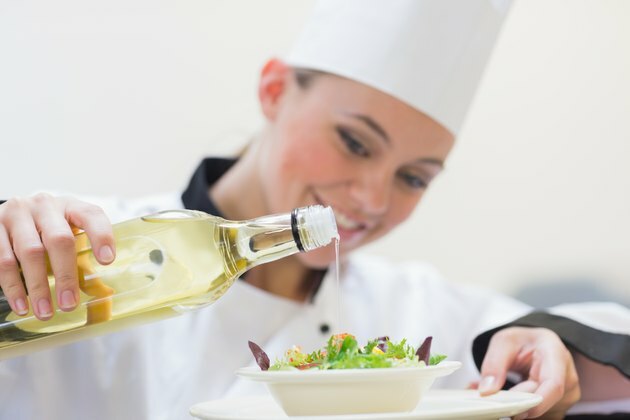 Lower amounts of omega-6 fats show up in canola oil with 3 grams per 1-tablespoon serving, flax seed oil with 2.1 grams, palm oil with 1.4 grams and olive oil with 1.2 grams. Some nuts and seeds contain omega-6 fatty acids. 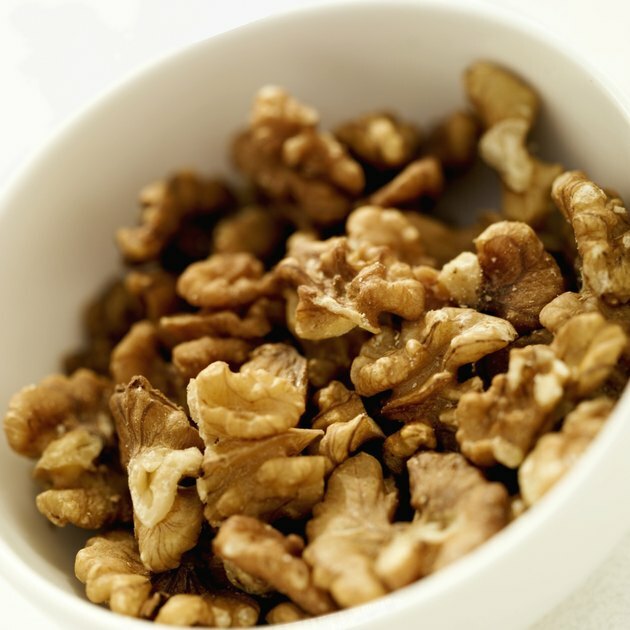 Walnuts contain 9 grams of omega-6 fatty acids per 1/4-cup serving. Safflower seeds, Brazil nuts and sesame seeds contain 7, 6 and 5.3 grams of omega-6 fats, respectively. Pumpkin seeds and squash seeds contain 4.8 grams of omega-6. Peanuts contain 4 grams, while peanut butter contains 3.5 grams of omega-6 per 1/4 cup. 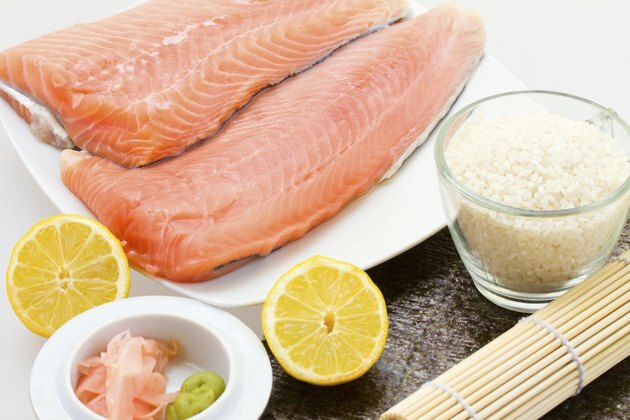 All types of fish contain less than 1 gram of omega-6 per serving. People need to consume 5 percent to 10 percent of omega-6 fatty acids in their diets for health benefits. The recommended intake ratio of omega-6 fats to omega-3 fats is 2:1 to 4:1. This means that you should eat double the omega-6 to omega-3 fats and no more than four times the amount. Americans, however, tend to eat a ratio of 14:1 to 25:1 of omega-6 vs. omega-3 fatty acids. 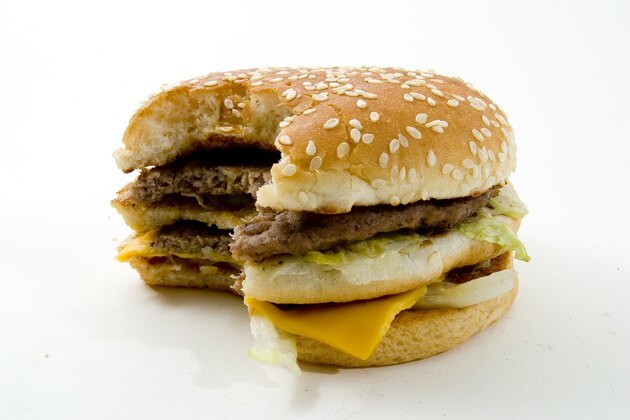 This can be more harmful than beneficial since some omega-6 fats have inflammatory tendencies. The University of Maryland Medical Center reports that the consumption of omega-6 fats may help control some diseases. Recent evidence indicated that children with attention deficit hyperactivity disorder, or ADHD, have lower levels of omega-6 fatty acids. 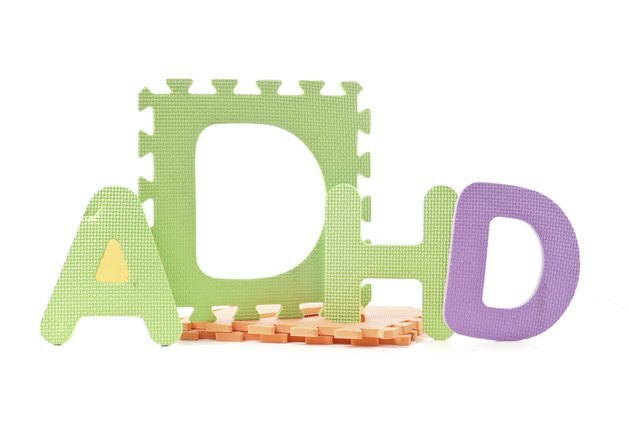 Increasing both omega-3 and omega-6 fats may reduce ADHD symptoms. A different study showed that women who took omega-6 supplements along with omega-3's had less bone loss from osteoporosis and higher bone densities.